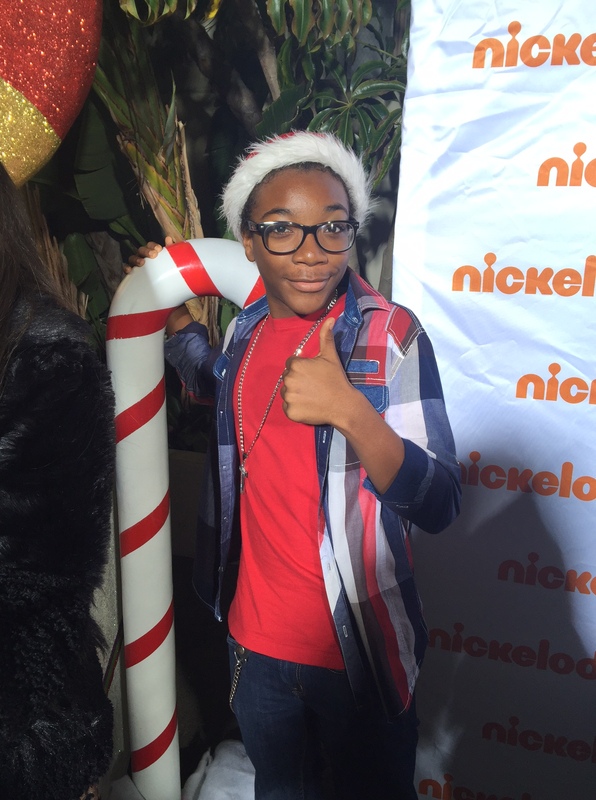 Nickelodeon Stars Having Fun During The Ho Ho Holidays! I got into the holiday spirit taking my daughter and her friend to a sneak peek screening of the Nickelodeon Ho Ho Holiday Special. Walking into The Sherry Lansing Theatre on the Paramount Studios backlot, we nibbled on Red Vines, Junior Mints and Popcorn, before watching Nickelodeon’s newest holiday hour-long variety show featuring four adorable musical numbers and multiple comedy sketches. Jessica Brown, Senior Director of Live Action Current Series introduced the show to an audience of over 100 people. Before the curtains were pulled back revealing the screen, she shared that the 47-minute show was shot in 6 days, with over 30 of Nickelodeon’s most popular stars and shows. She worked with the Executive producers Kevin Kopelow, Heath Seifert & Sharla Sumpter Bridgett and Director Jonathan Judge on this show. The three of us gave this entertaining holiday show two-thumbs up! You can watch the premiere of Nickelodeon’s Ho-Ho Holiday Special on Saturday, December 5th at 8 p.m. ET/PT on Nickelodeon. This lovely young lady shared with me that her entertainment career started at an early age participating in Beauty Pageant in Texas. She took some acting classes and earned a guest spot on the pilot of The Goldbergs. “George Segal took me under his wing” she told me. Weeks later she was cast at the age of 13 in a recurring role of “Emma” in The Haunted Hathaways. Brec played the character “Vi” in the Nickelodeon original movie Liar, Liar, Vampire and plays Bella Dawson in Bella and the Bulldogs. Now 16 years old, she bought her first car, a white convertible Chevy Camaro and will be graduating from high school soon. “Since I work a lot, I have been taking classes from an online school.” Brec has the personality, beauty and talent to have a long career in entertainment. One of her co-stars is Rio Mangini who plays Ace McFumbles, walked over to chat with me. As a kid, Mangini used to watch Nickelodeon’s hit show – iCarly. “It’s a legendary show and I always wished I could be in it,” said Mangini. His first job was a Legoland commercial. Next he was cast in an AFI short film (three years ago) with Rumer Willis – Six Letter Word. “Rumer was my mother and I was her autistic son,” Mangini said. “I thought it was so cool that her dad is Bruce Willis.” I told him this likable young man that her Mom is Demi Moore. “Wow, that is so cool,” said Mangini. Mangini loves working on Bella and the Bulldogs. “It’s a dream come true,” he told me. When not acting, this 13 year old attends a private school. When North Carolina native Madisyn “Maddie” Shipman was four-years-old, she heard an ad for Disney on the radio in the car. She told her mom that she wanted to be on a Nickelodeon show. Her mother was very supportive and helped her get an agent. They went to Florida to AMTC – a Christian-centered talent preparation company that provides professional direction for inspired performers. She first moved to New York at the age of 5 and performed in theater, booked a dozen commercials, television shows and film. She loved living in New York, but enjoys living in California. “In New York it snows on the first day of Spring. Isn’t that wild,” she told me. 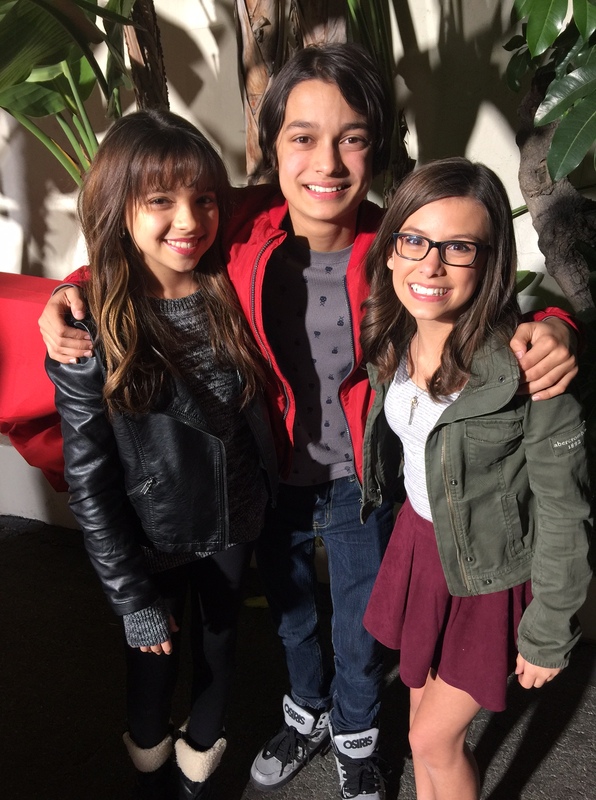 Madisyn feels very lucky to be one of the stars in Nickelodeon’s Game Shakers. This live-action sitcom is about two 12-year-old girls – Madisyn Shipman as Kenzie and Cree Cicchino as Babe. They start a multimillion-dollar gaming company with their friend (Thomas Kuc as Hudson) and take on rap superstar Double G (Played by Kel Mitchell) as a business partner. Another Game Shakers star, Cree Cicchino described herself to me as “not a typical actor.” She has been a dancer “her whole life.” While competing in dance, another dancer told her about modeling and acting. “Since I have always been performing and love to make others laugh, including my mom and twin sister, I went on an open call to get an agent/manager and booked with one,” Cree shared enthusiastically. Since she is from Queens, she took acting classes in New York, while she was dancing and competing. “I started with two or three little jobs and then got a callback with Dan Schneider to test and shoot the pilot.” Dan Schneider is the Executive Producer of the show. ” She also enjoys working with “Uncle” Kel Mitchell. “He’s a great guy,” Cree said. As an avid animal lover, she told me how she rescued a chihuahua puppy and named him – Clyde. She is looking to partner with animal organizations and be a voice against animal cruelty. One of the stars of 100 Things to Do Before High School, Jaheem Toombs plays Fenwick Frazier. “I’m living a dream,” this affable young man shared with me. While living in Boston, MA, Jaheem told his mom and dad that he wanted to come out to Hollywood when he was around 8-years-old. Since he had performed in a few church and school plays, his parents took him to a showcase in Boston that had a few Los Angeles based agents. He came out to CA, and booked a “Got Milk” commercial and next a short film. When he was invited to a Nickelodeon Kid’s Choice, Jaheem walked right up to various producers and introduced himself. Known to be charming and loquacious, he was soon cast in 100 Things to Do Before High School, as one of the three best friends navigating the obstacles of middle school, overcoming class cliques, terrifying bullies and clueless teachers. Toombs is a cheery soul, with an outgoing personality. He can get just about anyone to smile. The adorable Addison stars on Nickelodeon’s hit show, The Thundermans. It’s a popular live-action, half-hour comedy series where Addison plays Nora Thunderman in a family of Superheroes. She tries to live a normal life, despite her super-human laser-vision powers. This spirited young lady started her career at a young age, while taking acting classes in New Orleans. She loves to act and sing. This handsome young man knew he wanted to be an actor at the age of 7. His mother was a stylist in Portland, OR and Diego would accompany her on jobs, soon discovering that he wanted to be television. His mother supported his decision and took him to an open casting call for motion picture Extraordinary Measures that starred Brendan Fraser, Keri Russell, Harrison Ford. Diego was called back a few times and won the roll as the son Patrick Crowley. It’s a dream job to be Billy Thunderman with Addison Riecke. He lives here in Los Angeles when shooting the Nickelodeon show and in Portland, where he is home schooled. “Snow”: It’s Christmas Eve, and the presents have just been delivered to Father Christmas at the North Pole. When Father Christmas rings up to say that there are toys missing, Ben, Holly, and their friends head off on a special trip to deliver the final box of toys. “The North Pole”: The Elf Plane is forced to land while en route to deliver the final box of presents. No one minds as it’s an opportunity for everyone to meet Father Christmas. Arctic Elves quickly wrap the toys before everyone sets off for home on Father Christmas’ sleigh. “The Christmas Star”: When Tommy Brock takes Cotton-tail’s dolly, Peter soon discovers the only way to retrieve it is to give everyone in the woods what they want for Christmas. “Sleepy Hedgehog”: Peter volunteers to take Mrs. Tiggy-winkle home in time for her winter hibernation. Little does he know how much trouble a sleepy hedgehog can be.